Reduces food cravings, especially for sugar. 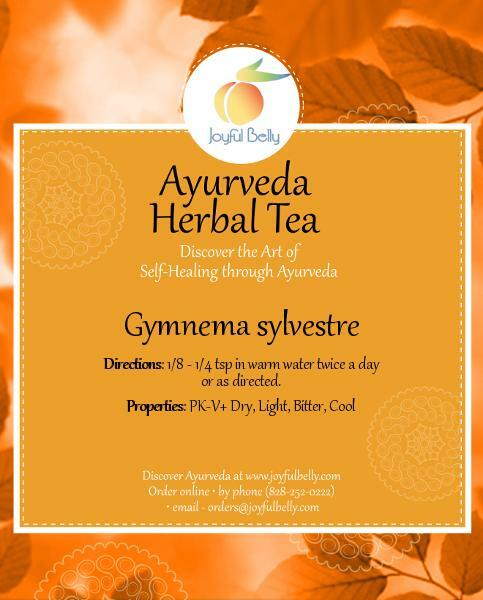 This Ayurvedic herb supports proper function of the pancreas to maintain healthy levels of blood sugar and insulin. 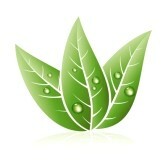 Certified Organic Gymnema leaf powder Also known as gurmar and shardunika. 1/8 - 1/4 tsp in warm water twice a day or as directed by your practitioner. This product contains loose leaf for the freshest and most potent results. An organic cotton tea bag will be provided with your order to strain your herbs for enjoyable drinking. Your order will contain about 60 servings, 1/2 teaspoon each. Gymnema sylvestre may be beneficial for these symptoms. The suitability of any product for a condition is highly dependent on the individual. Please see your doctor before using this product to treat a medical condition.